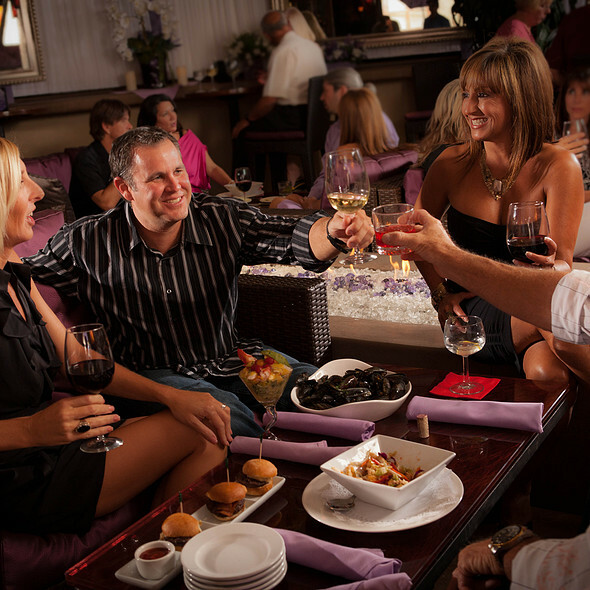 Join us nightly for our popular Happy Hour from 4:00 to Close. Live Music Nightly - piano and vocals. 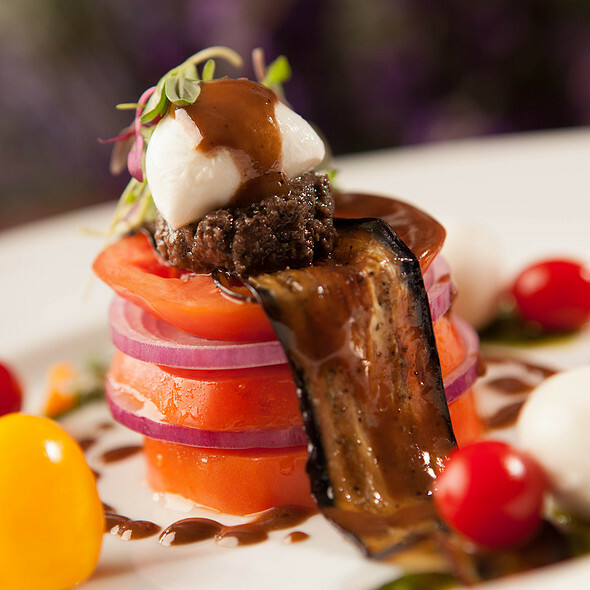 Lavender Bistro's catered events will take our wonderful dining experience into your home or venue of your choice. Experience Lavender Bistro. 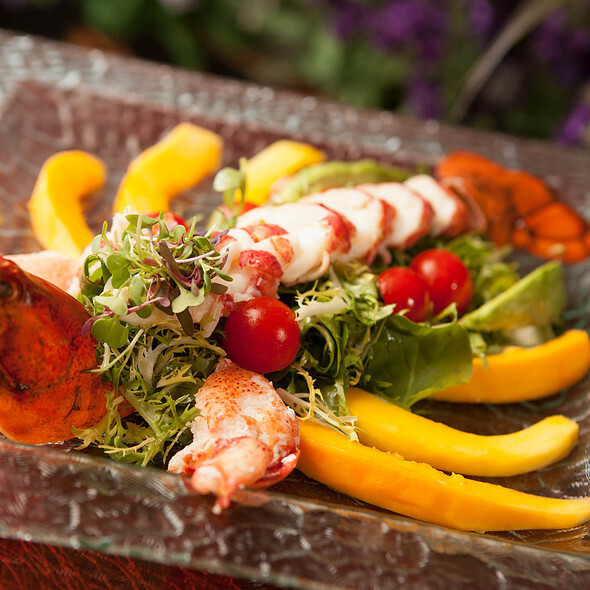 At Lavender we combine the finest meats and seafood with the freshest organic ingredients to create unforgettable dishes. 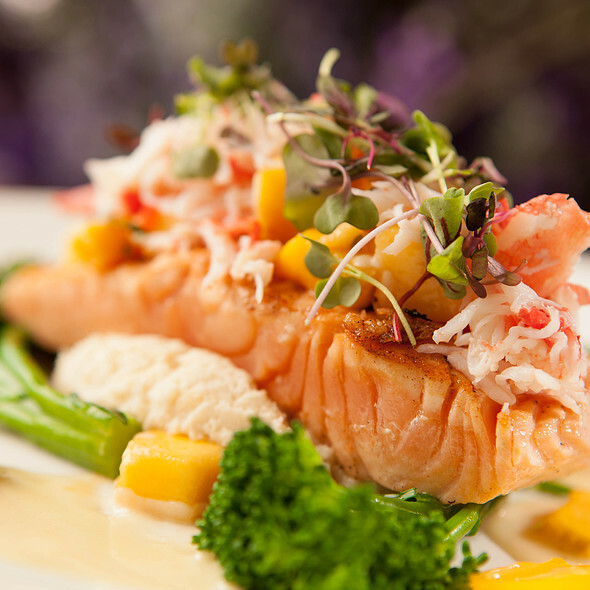 Dine indoors in a warm, cozy atmosphere or on our stunning tree-lined patio. Lavender Bistro also prides itself on providing superb live music daily to set a warm and friendly atmosphere for you and your guests. 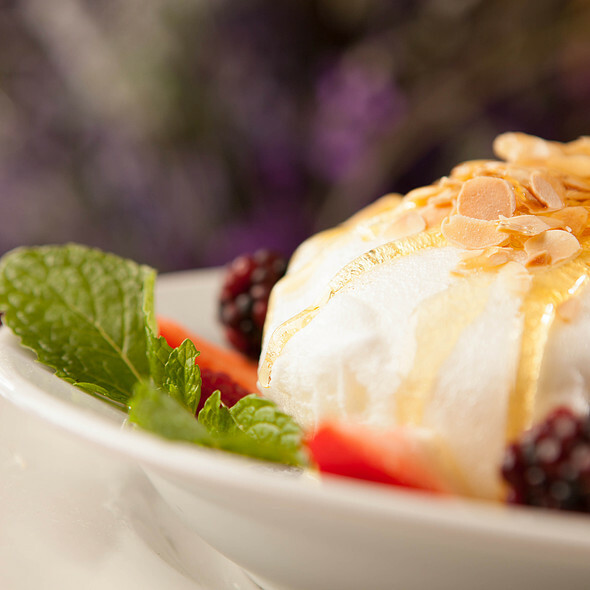 For every occasion, to change the ordinary into extraordinary, come join us at Lavender Bistro, "the best kept secret of La Quinta", for a memorable dining experience. It’s a beautiful patio and there was live music that was nice. The food was very good. We were most disappointed in the service. We had 2 people in our party of four who were celebrating birthdays- it was their actual birthday that day - and I had told the restaurant about it. The hostess said happy birthday and that was it. No complementary little piece of birthday cake or anything else was done. It was sad because we were all looking forward to celebrating this special day at a special restaurant and it was all just ok.
It’s very expensive - about $100 per person. They can afford a little piece of carrot cake for 2 birthdays. 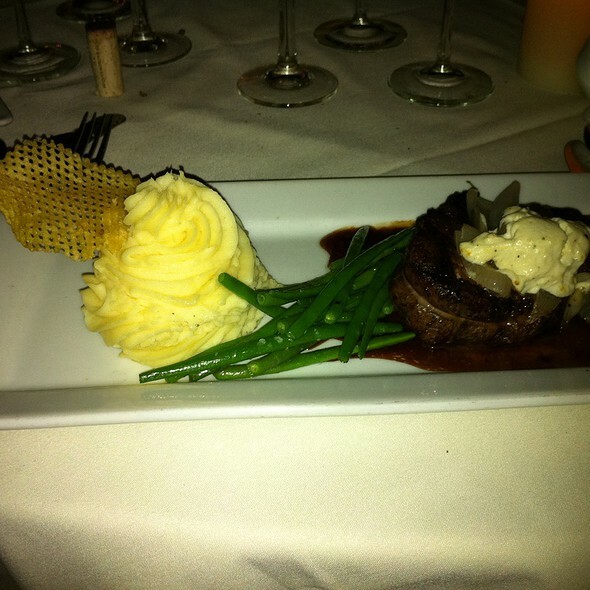 There are a number of very nice high end restaurants in the Coachella Valley. We won’t be going back to Lavenders. Beyond bad service. Waitress never asked us if everything was alright the entire meal. Everything we needed we had to wave down a busboy or anyone else just standing around as they all seemed to be doing. Food ok but not worthy of such a lovely place. Will not be returning. 6 of us had a fabulous dinner and visit in the outdoor dining area. Food wAs exceptional. Truffle fries are the best ! Don’t miss them , one order for 6 of us with our meal was enough to love them. The restaurant was beautiful, the service staff was friendly and very good and the food was amazing. The only issue we had was there seemed to be a lot of flies with the outdoor dining area when our food was delivered. It was a warm night, but it might have been nice to have some citronella candles to deter the insects. Otherwise everything else was perfect. Lavender is more geared towards an older crowd and this is coming from a guy in his 40’s. It’s the type of place your mom/grandma and all her girlfriends would love dining at. 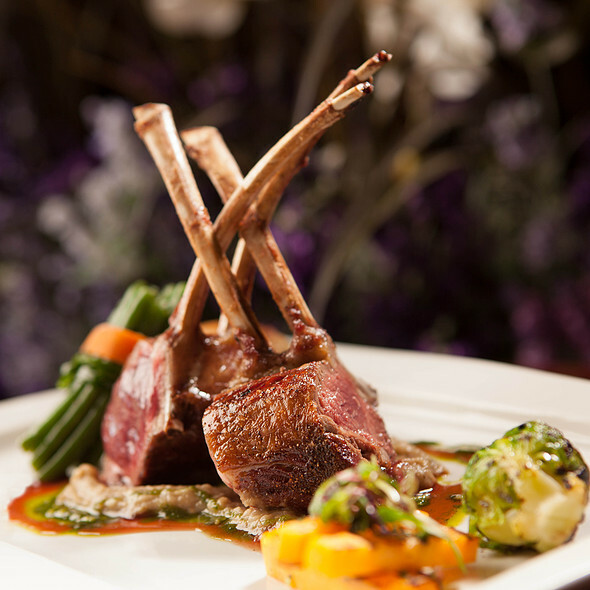 The atmosphere is more like an outdoor banquet hall feel for a wedding reception and the food matches that caliber. The Restaurant was pretty. Especially if you love purple or Lavendar. We were met and seated immediately though we arrived early. The Hostess was great! She almost took us to a small table in the way of everyone already there, then she decided "nope" I am going to give you a nice little out of the way table. We thanked her and really appreciated it! The ONLY negative is the Menus and Cocktail, Wine menu took around 10 minutes. We were really hungry and thirsty so our preference is always to have those IN HAND prior to our Waiter asking us for our choice of cocktail. By the time he delivered it to us, we just ordered what we usually do.....but I would prefer to have those Menus at seating for sure. If it is noticeably irritating....then you all probably shouldn't do it. The Guitar player was fabulous! My husband's one and we both really admired his talent and the soothing selections of music. Also the Waiter was really good until it came time to check our drinks. My husbands 2nd glass of wine had to be ordered through the food delivery. As our Waiter was not to be found .....or he was at table next to us with his back to us, so we could not get his attention. That was annoying. All else good....if you all work on those simple fixes it definitely would be a five star!! After being there before, I looked forward to returning and was not disappointed. THe outside patio atmosphere is beautiful, the food is yummy and it’s quiet enough for a conversation with dinner guests. What more can you ask for? A fantastic experience. Would return in a heartbeat! Service a little slow, you were very busy, the real problem was the flies that kept buzzing us and our food for over an hour. I don't know what you can do, but it was awful. Very disappointed in the location of table next to the back by loud kitchen air conditioner and we where outside .I requested a table for 4 outside on patio and said special occasion in quiet location for friends birthday. Sat in chairs on uneven patio so chairs wobbled. I believed this has been my worst experience and have taken many out of town friends to Lavender Bistro. I made reservation at least 10 days in advance thinking it would not be problem. We had 6 pm reservation and outside was not full till at least 7pm. I did not want to make a stink but did say to waiter this is so noisy we cant even carry on a conversation. It was a family get together after long lapse in time. It was a perfect way to end our weekend! Once again it was a fabulous experience, both the ambience and the food! We went last Monday for our 30th anniversary and were very impressed. The outside patio seating was comfortable and the ambiance was lovely. Great live music to accompany dinner. The hostess and serving crew were fabulous--very attentive. My only disappointment was the signature martini which had lavender-infused gin. It tasted too much like perfume for me. Our food was excellent. We will definitely be going again and recommending to our friends. We had a great time and impressed our guests. You guys are terrific! our waitress was impersonal, not attentive and absent minded. Had to ask her for her name, since she did not introduce herself. Didn't check on us at all after the main course had been served . We had to call the bus boy over to get her attention for a second cocktail order from the bar. Always very good sometimes great. Great ambience and great food. Sunday is free corkage, a great value. Service this time was extremely slow. However, the waitor did bring us desserts to make up for the very long wait. I ordered the chicken curry. Beautiful presentation but the chicken was slightly overcooked. It was much better with shrimp which i had 2 weeks earlier. We had the Halibut special and the Salmon and both were outstanding. 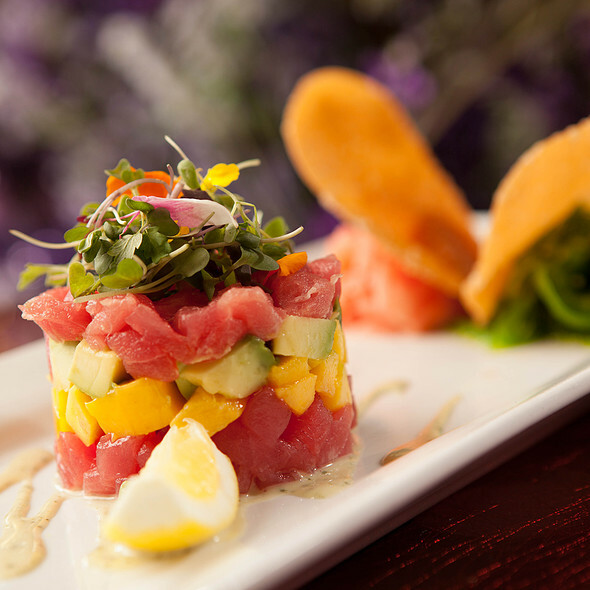 We live in the Coachella Valley 4 months a year and have dined at Lavender many times. Most food was really good. Mushroom soup wonderful. Curry chicken terrible. Asked for mild, and it was very hot and chicken was chewy. The lobster ravioli was great. Ambiance the best, it’s possible the waiters had a bit of an attitude. Overall, I would recommend it. Great setting with wonderful music that is mellow and not to loud! Fabulous food, patio seating, and service. Beautiful evening and delicious food. Our server could not have been nicer. Went there a few nights ago for my birthday weekend. We had a lovely dinner with family, 6 of us in the party, however two of our party got violently ill about 3-4 hours after dinner. They shared the wedge salad. It was super unfortunate because they spent a time of money to be out here with me celebrating my birthday and they spent the entire weekend so sick in their room. Both are in their 70’s so it was very difficult for them. They are still not feeling 100 percent and left early to drive back to Orange County to recover. The service couldn't have been more wonderful..The food and drinks ? To die for. The atmosphere is so extra special. We had a beautiful table on the patio next to the center planter. We were made to feel so very special! Thank you Lavender!! Our favorite place! Always take family and visitors there! My girlfriends and I always enjoy Lavender every year. However there was a lady (short red hair) at the entrance who showed some impatience with us and it started our evening out on an uncomfortable start. She insisted I call one of my guests to make sure she was coming before she would seat us. She then abruptly said she would seat us. She needs to work on her professionalism as a hostess. Other than that, it was a lovely evening. Very special place. Beautiful outdoor seating and the Cabana was a treat for the 8 friends who gather yearly. 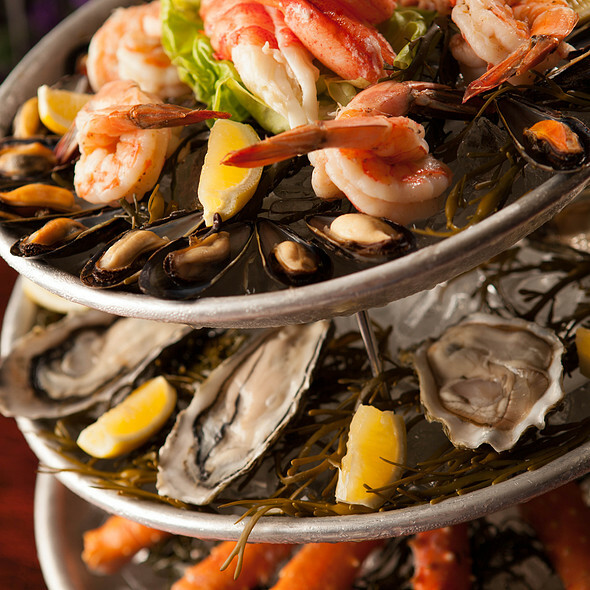 Delicious seafood. When the weather is nice, the outdoor area is magical. Great live music too. I think our waitress was drunk, or stoned, or who knows what. She introduced herself three different times and took our drink order three different times and it was never served. She did the same to the table next to us. After the third order and 45 minutes later, I went to the hostess to report the incident. We were re-seated in a different section and things improved. I noticed the waitress was still waiting tables when we left. I thought she might be asked to go home and sleep it off, or even have been fired. Maybe it was so busy that management thought they were better off with her there. I doubt it. I’m sure there were several other customers like us who will never come back. Disappointed, had the duck and could not even chew it.